Productivity is what the 310SK Backhoe is all about. The new standard five-speed transmission gets you moving faster with roads speeds up to 40 km/h (25 mph). Fuel savings features are front and center with auto idle, auto shutdown and economy mode all available only on the 310SK. 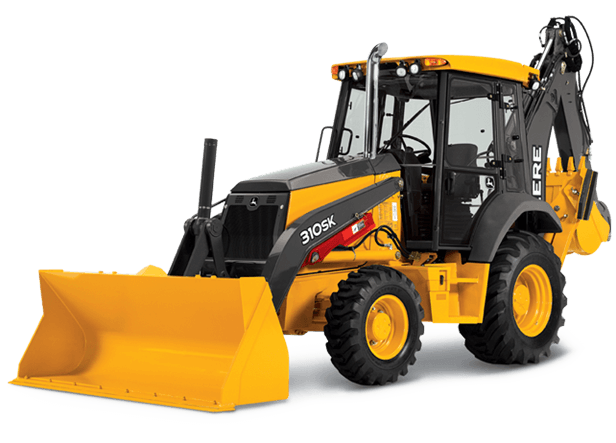 It also boasts the new single-lever loader control with integrated electrohydraulic, proportional auxiliary control, and comes standard with JDLink™ and Service ADVISOR™ Remote. The 310SK also includes productivity enhancements such as our smooth-shifting five-speed transmission with Autoshift option. More efficient HVAC system. Convenient sealed-switch module with keyless start and machine-security system. Redesigned easier-to-clean cooling package. The 310SK gives you more comfort, more convenience, and more efficiency.